Here’s the thing about October. It’s all about apples. Apple cider. Apple picking. 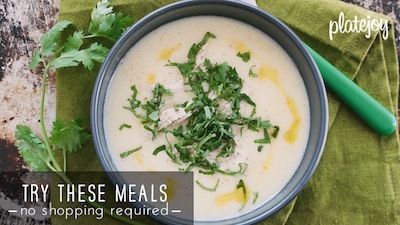 Apple fennel soup. Apple pie. Apple cobbler. Apple potato hash browns. Appleseed, Johnny. Apple candy. Apple bobbing. Apple baking. (I think I’m having a Forrest Gump moment). Point being: apples are super transformative. 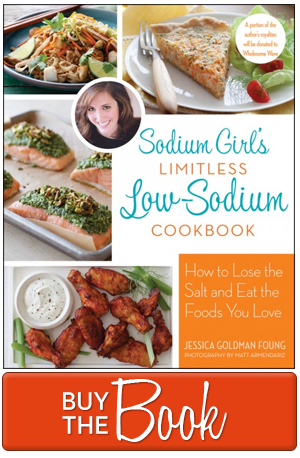 They are also naturally low in sodium and kidney friendly. And from the long list of apple recipes and apple activities that are possible, it’s pretty clear that apples are the star of this fall party. So move aside pumpkin. This fruit has your number. But that’s not the end of the story. 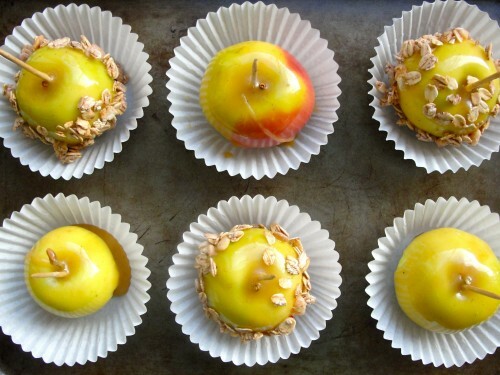 Because there’s one other apple recipe I’d like to bring to the table this year. BBQ APPLE CHIPS! One thing I have really missed on a low-sodium diet is the sweet, savory, smoky snap of BBQ chips. And when the National Kidney Foundation challenged me to create a new apple snack recipe for the season, I knew exactly what to do. Of course, apple chips are nothing new or extraordinary. But adding a DIY BBQ spice to the mix definitely takes these crispy treats to a new level. And here’s the really amazing news — you can use this BBQ rub on anything. I’m talking chicken, ribs, cauliflower, kale chips, and even pumpkin. So when your friend comes home from apple picking and gives you a bucket of golden delicious, granny smith, or pink ladies, turn on that oven and get chipping. Preheat oven to 225dg F.
Core your apple and then, using a mandoline, cut it into 1/8-inch slices. Time-saver tip: If you don’t want to core the apple, you can pull out the seeds with your fingers after slicing. And if you don’t have a mandoline, you can make thin slices with your knife. Next, cover two 9×11-inch baking sheets with parchment paper and set aside. In a small bowl, mix the spice ingredients together. 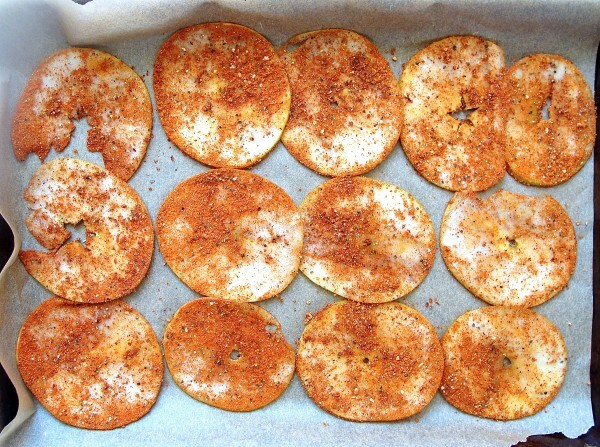 Place a few apple slices on a large plate and rub the spice mix on both sides. Set slices in a single layer on the parchment-lined baking sheet. Continue until all the apple slices are spiced and placed on the sheet. Place the apples in the oven and bake for one hour. Flip the slices over and bake for another hour. Then, turn the oven off but leave the apples inside to cool — this is when they get nice and crispy. Serve and enjoy immediately. Or keep in an airtight container for a few days. + Sodium Count: 0mg…pretty much sodium free! Just make sure your spices are salt-free. This is one of the most healthy, delicious, and unique apple recipes. This is always a hit at any gathering or even at home! Thanks for sharing your yummy pictures and recipe with us! 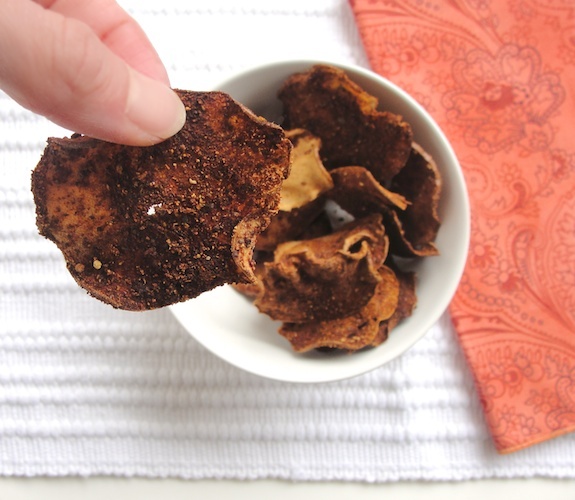 These BBQ apple chips sound amazing and like such a healthy and tasty snack. Sugar really affects me so I not to cook/bake with it. I wonder what they would be like without the brown sugar.